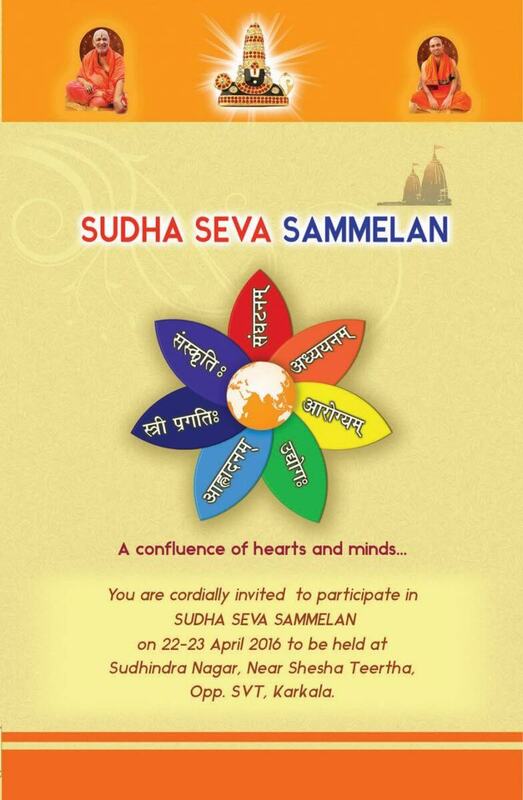 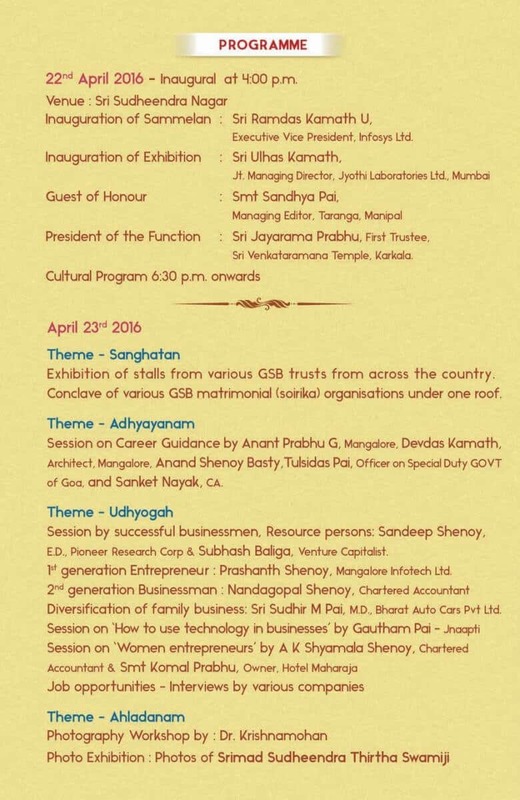 ‘Sudha Seva Sammelan- A confluence of hearts and minds’ is a world GSB Sammellan organized by Sudha Seva Prathisthan to be held on 22-23 April 2016 at “Sri Sudhindra Nagar”, Near Shesha Teertha, Opp SVT Karkala. 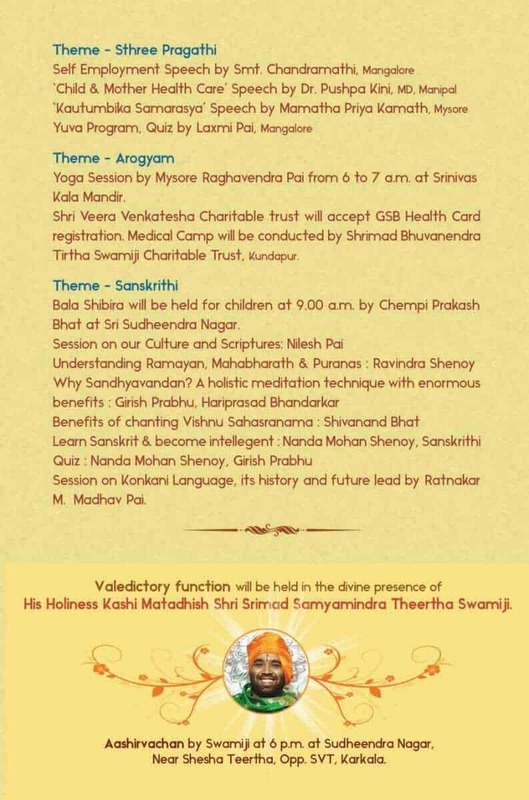 Valedictory function of the Sammelan will be graced by H.H Shrimath Samyamindra Thirtha Swamiji, Mathadhipati of Shree Kashi Math Samsthan. 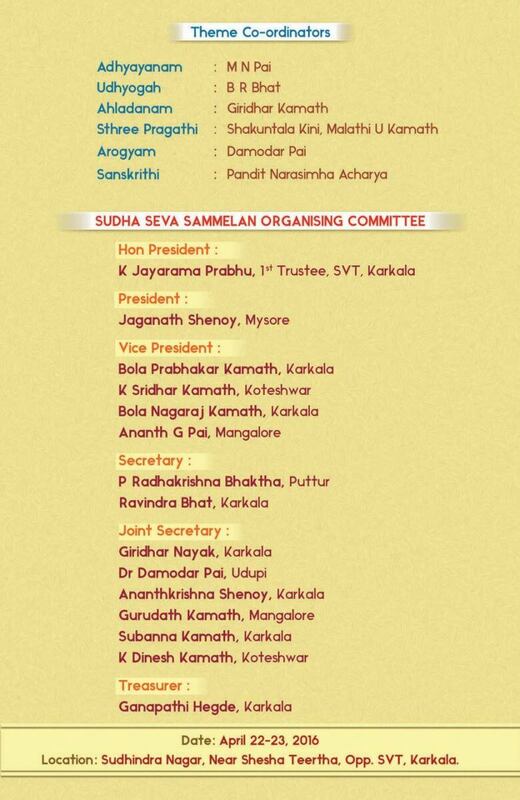 Aashirvachan by H.H Shri Swamiji at 06:00 PM.